Here are all the challenges I've participated in creating. 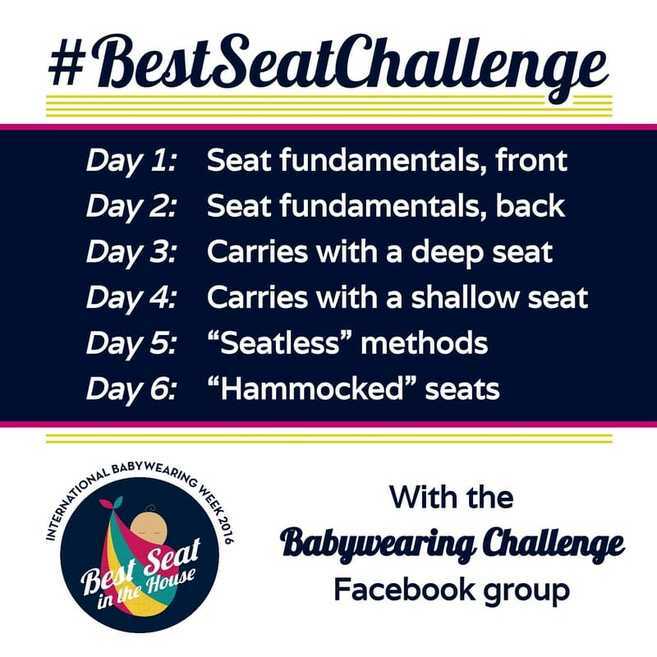 For even more challenges, visit the Babywearing challenge group on Facebook. Wrapped in Love and Luck 2.0! 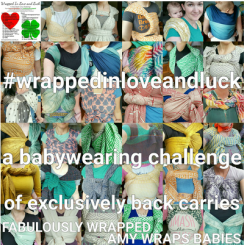 Try a bunch of new carries with a woven wrap! We haven't featured any of these in a challenge yet, and many were coined in 2016. 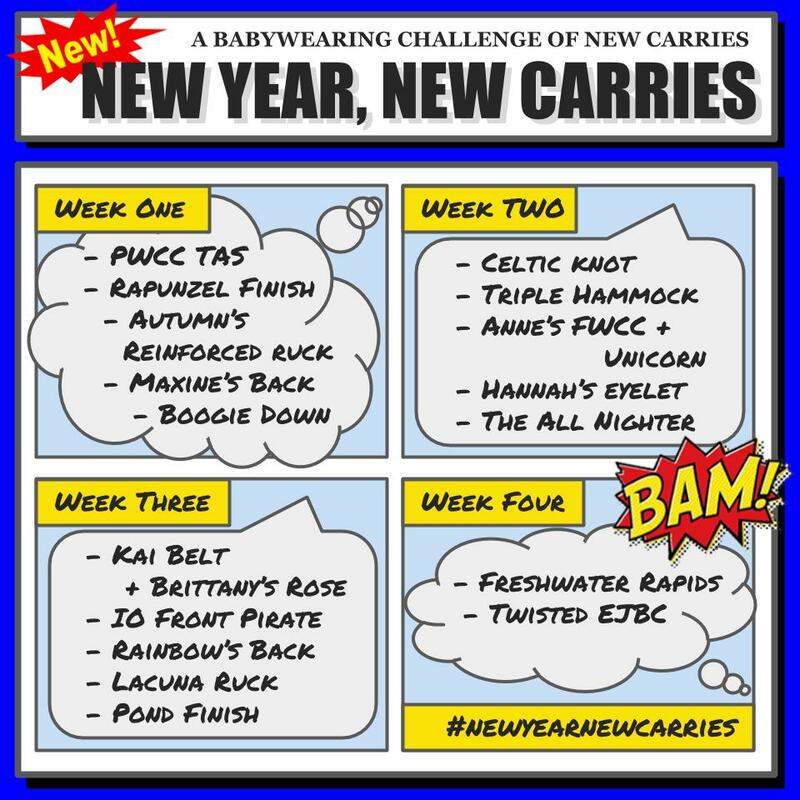 Let's try them all together in the Babywearing Challenge group on Facebook or tag you photos on Instagram with #newyearnewcarries and #babywearingchallenge. "Best Seat" for IBW 2016! A Challenge of Single-Layer Carries.